A leading Yorkshire metal fabricator and laser cutting specialist is helping to put an up and coming martial arts weapons manufacturer on the map. Chloe Crawford set up Xplosive Weaponry in Peterlee a year ago producing equipment such as bo staffs and nunchucks used in martial arts freestyle competitions and exhibitions. Now, thanks to a chance conversation with fellow martial arts enthusiast Duncan Perry, Assembly Foreman at Yorkshire Laser and Fabrications (YLF), she is also able to offer her customers customised kamas. As a result of Chloe’s conversation with Duncan, she is now producing a range of the kamas which are sold and used in pairs, with the handles customised to martial arts clubs’ colours. “Chloe and I were just chatting at a training session one day when she mentioned the kamas and it occurred to me that they were something we could do at Yorkshire Laser,” said Duncan. 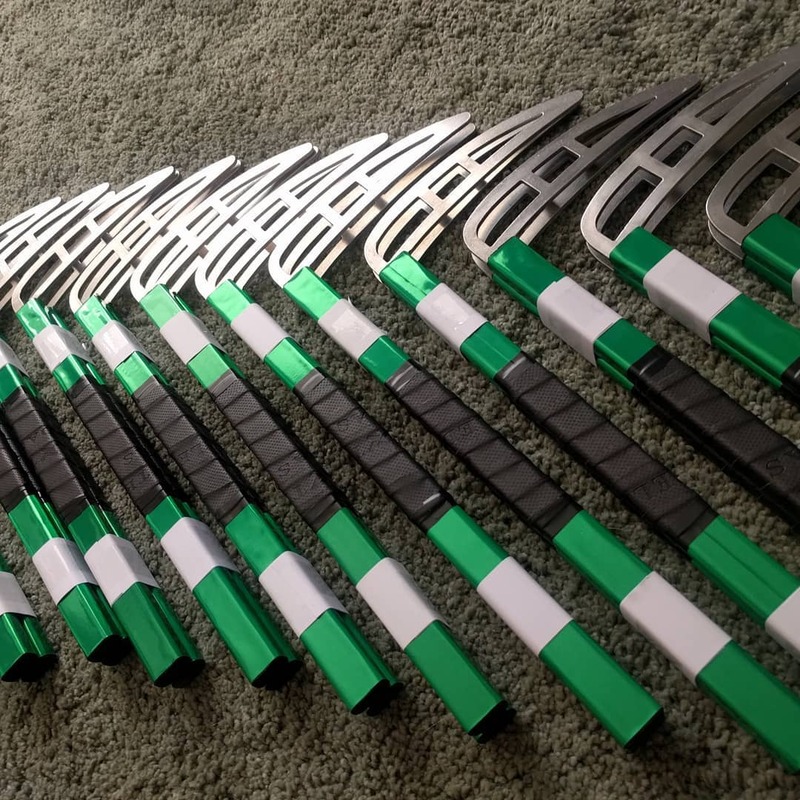 Initially YLF produced small orders of six pairs of blades at a time but as word has got around attracting interest from larger clubs, those have grown with a bulk order of 20 pairs recently being produced. Xplosive Weaponry is one of only two companies in the UK manufacturing martial arts equipment and customising it to club’s and individual competitors’ requirements. “We started out about a year ago and the business is going really well. We mainly sell to the UK and Ireland but have the capability to supply to further afield if needed,” commented Chloe. * If you’d like to know more about Xplosive Weaponry and their range of products, check out their pages on Facebook and Instagram. Check out our recent coverage in The Northern Echo.